Your garden can efficiently serve as one of the most relaxing places you can be. When you need some peace and quiet, watching the beautiful green vegetables and succulent tomatoes can be sufficient. There is something therapeutic about being close to the plants and seeing how they have thrived. Plants are oblivious to what’s happening around the world, and all they care about is having the best conditions for growth. Besides, the garden has the purest air that invigorates your senses adequately. It is also the best place to have a one to one talk with a loved one and so a having a garden chair is essential. Purpose: before you can go out and purchase a garden chair, consider the purpose that the chair is going to fulfill. Typically, your garden chair may be used to take rests as you garden. You can also get a garden chair for taking time out from the office or day-to-day activities. Whatever the purpose, the chair needs to have a good design, practical and comfortable. Determine how you will end up using the gardening area. Is it a place for relaxing, entertainment or just growing the greenery? Basically, the purpose for which you want the chair will dictate what goes on your wish list. Size: whether it’s for indoor use or outdoor, you must get the right size of furniture for the available space. You can measure the place you want the furniture to be sitting before making the all-important purchase decision. It would be a shame to go all out and purchase a piece of furniture and turn out to be too big for the space you have.You can choose folding chairs as they are easy to stash away after you are done with them – this is if you want a resting chair. If looking for a chair to entertain the guests, then benches are more social – they will hold more people. Depending on the space you have, make sure you get the right furniture. Material: you will need to put some considerable thought into this factor if you intend to get a chair that will last long. 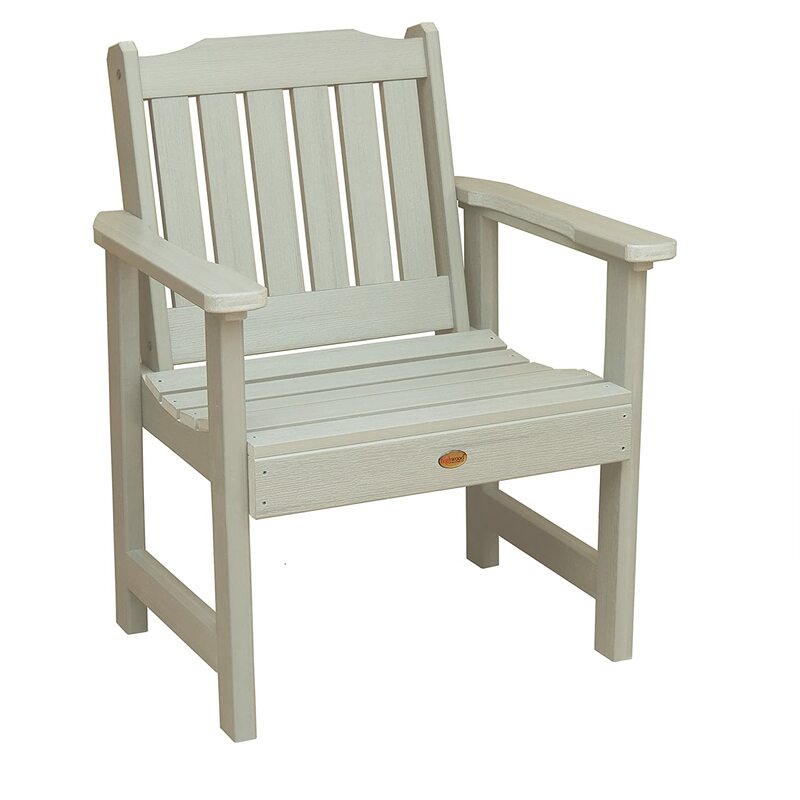 Ensure that your garden chair is made to last and can easily resist the weather. A well-treated cedar will serve you well and for an extended period. And depending on your preference, you can also choose metal chairs but make sure they are low-maintenance. Go for weather resilient material for your chair, and it will still look wonderful for years. Storage: even when your garden chair is made from the most durable material around, keeping it in a protected location is necessary. It does not matter whether your furniture is teak or wrought iron, storing it adds some significant years to it – this is definitely what you want. If you have a limited storage space on your hands, choose a chair that folds quickly as it takes minimum space. Quality: as the adage goes, cheap is expensive. Invest in quality furniture, and you will be glad you did. There is always a temptation to choose an affordable material like plastic resin because they are aesthetically appealing. Such chairs may look great for a few years out in the sun. However, they eventually lose their vibrant colors and become brittle. The same fate can also befall some wooden chairs and so shop with care. A good place to start before purchase is the customer reviews and reports – they will inform you how good a chair is.For wooden chairs, check the joints and go with screwed rather than the stapled or glued. If you have a choice between the teak and pine, go with teak any day. For metal, the welding should be smooth without any visible cracks. The powder coating should be generous in all the metal areas of the chair. 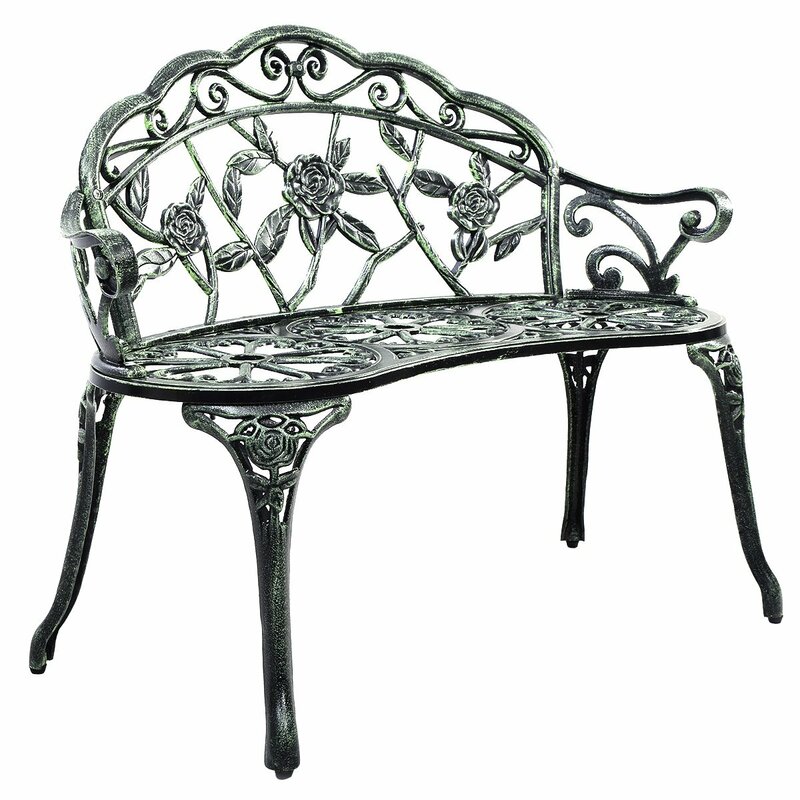 Cast aluminum is durable and easier to maintain than steel or iron – make the right choice. And in terms of upholstery or sitting area, wicker or synthetic rattan works well and is, even more, quality than the real thing. Also, UV-treated polyester is not too shabby. You can choose it over cotton. Versatility: it is always the best thing to do to get a piece of furniture that can be used for various purposes. 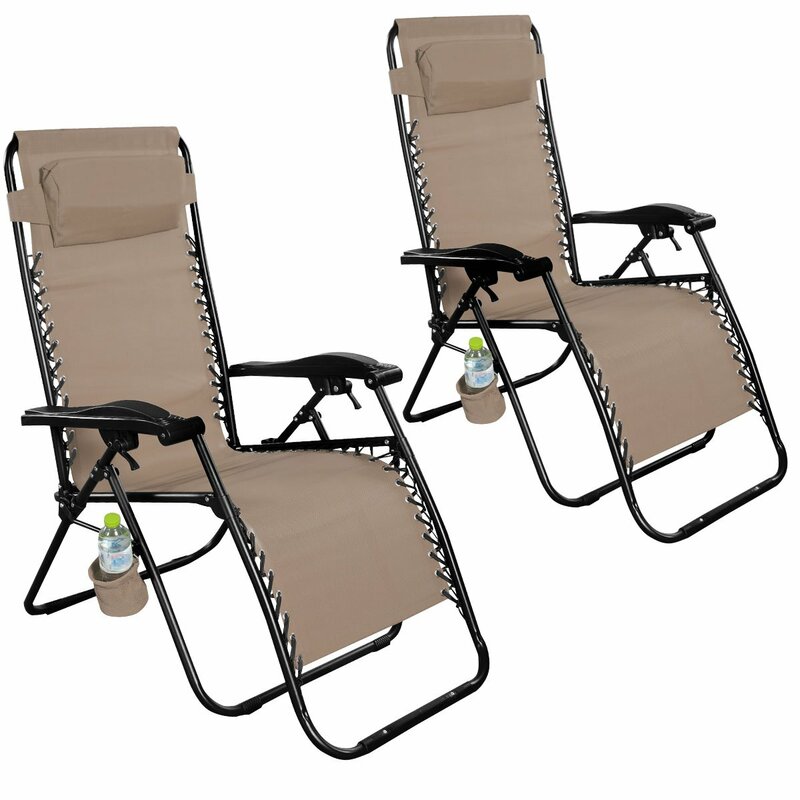 A folding chair can double up as a camping or a beach chair. A versatile chair will save you some cash in the long run as you will not need to buy an extra chair when you want to go camping or fishing. As a gardener, you are on the side of making the world a better place to live in. 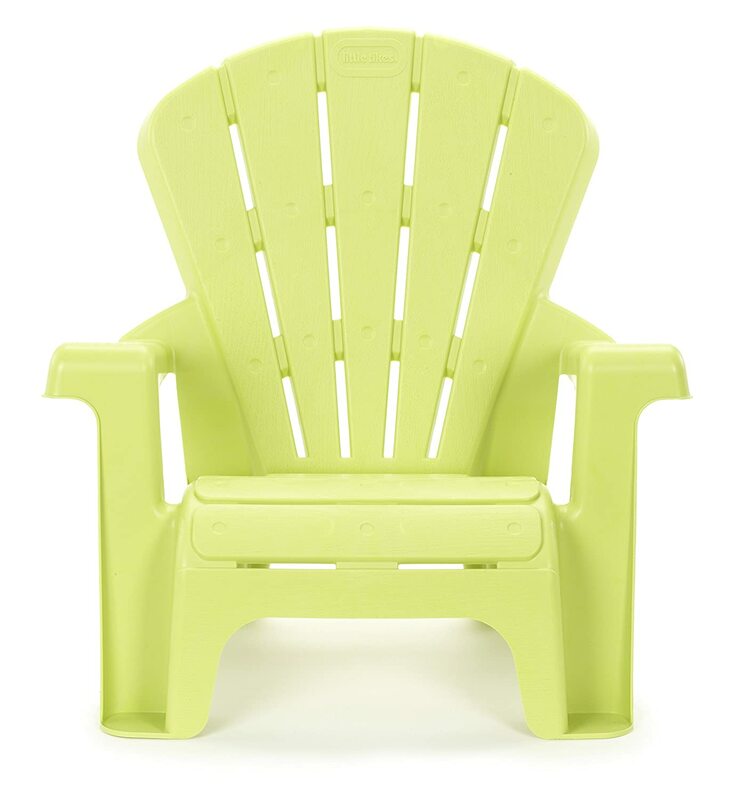 This garden chair is made from recycled plastic and other proprietary materials – quit the green products. This is one sturdy seat that can carry up to 500 pounds – you need not worry about it collapsing on you. You have probably heard about fading plastic equipment after prolonged exposure to the sun. The good thing about this chair is that it does not fade. It also contains stainless steel hardware making it quite a durable piece. And to demonstrate faith in the product, the chair comes with a 12-year warranty. The chair is also big enough for you regardless of your body structure. Some of us are indeed in love with anything antique or cast iron. There is something that speaks of durability and sophistication about them. This chair is cast aluminum and cast iron – no problem about durability here. It is quite an attractive piece to have in your garden as it has unique floral designs – your guests must love it! The garden chair comes with assembly instructions so that you can quickly put it together. Minimal tools here needed for assembly. This is a sturdy bench that you and your partner can sit as you enjoy the fresh garden air. An easy to store chair is always a good choice because you can put it away during the winter – for maximum durability. The chair has many recliner positions affording you the opportunity to get maximum rest when you need it. Over time, you will a need a durable and comfortable chair that kids can sit alongside you on the patio or garden as you narrate stories to each other. This product may be the right one for your kid below four years as it has a compact design with expansive armrests. It is lightweight and portable meaning that you can move it from one place to the other as is necessary. Kids’ items must be easy to clean, and this is no exception. The smooth plastic surface is smooth to wipe with a wet sponge or cloth. It has an adequate weight capacity of 50lbs and so can accommodate the weight of many kids. This product is one rugged chair perfect for the outdoors. It is UV-Protected Polystyrene, durable and weather resistant – should a torrential rainfall suddenly decide to pound the area, this chair will not need to be transported inside. The chair will not chip, crack, peel or rust. It is pretty easy to assemble – will take a few minutes and will be sitting enjoying the view. It is easy to clean and requires less maintenance. 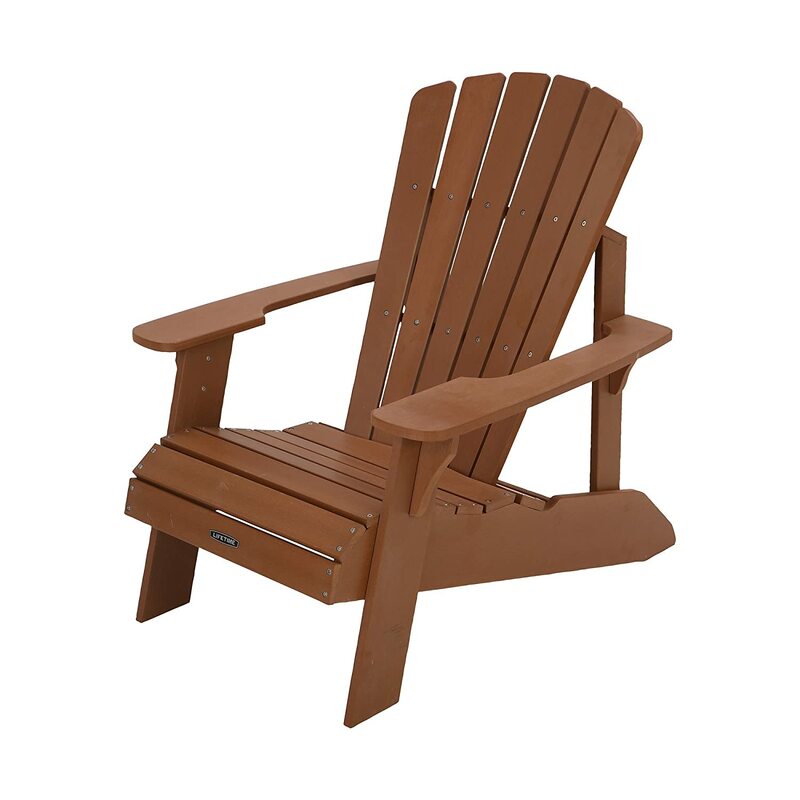 The best garden chair is the one that serves your needs adequately. It is durable, functional and robust. And because it will be out in the weather most of the time, it should be weather-resistant. All the above-listed products easily fit this description. However, our choice is Highwood Lehigh Garden Chair. This highly-rated product can be used as a chair when you feel that you need a breather or when hosting a friend that has paid you a courtesy call. It is durable, sturdy and attractive making one of the best you can acquire for your garden. Hi, I'm Michelle! I belong to a family of farmers and fell in love with gardening from the age of 15! Throughout the years I've learnt so much from working on my own vegetable garden. Join me as I explore everyday topics to help you become a better gardener. Gardening Leave was created to help gardeners experienced and inexperienced with everyday issues. It’s lead by Michelle and her team who are also passionate gardeners. We aim to connect with others and blossom into a thriving community. Want to contribute? Submit a Guest Post. Gardeningleave.org is a participant in the Amazon Services LLC Associates Program, an affiliate advertising program designed to provide a means for sites to earn advertising fees by advertising and linking to Amazon.com. *Amazon and the Amazon logo are trademarks of Amazon.com, Inc., or its affiliates. We do our best to ensure that the information on our website is accurate and up-to-date. The information here should never serve as a substitue for agricultural advice. We’re passionate gardeners and share that passion with our audience. © 2018 - GardeningLeave.org. All Right Reserved.